Today Katie Henson, Acquisitions Manager and Co-owner of Sapphire Star Publishing has crossed the Atlantic for a chat with us. Since starting up in January 2012, American publisher, Sapphire Star Publishing has gone from strength to strength, bringing some great authors to the fore, including UK authors and Romaniac friends, Mandy Baggot, Nicky Wells and Linn B Halton. As such, we thought it would be great to have a chat to Acquisitions Manager/Co-Owner of Sapphire Star Publishing, Katie Henson. Hi Katie, thanks for taking time out your busy day to chat to us, hope the time difference isn’t causing you any problems! As mentioned above Sapphire Star Publishing started up earlier this year, can you tell us the history behind it? First off, I’m honoured to have the opportunity to chat with Romaniac friends! 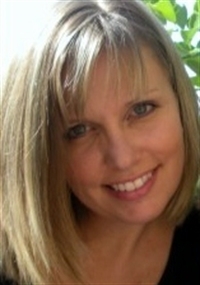 Thank you so much for inviting me to visit the Romaniac blog. Yes, we opened our doors January 1st of this year. The response from authors, reviewers, and readers around the world has been incredible. We’ve been extremely blessed, and we’re so grateful for the warm reception we’ve received into the industry. The framework for Sapphire Star began when Amy Lichtenhan, co-owner of Sapphire Star, and I saw a real need for a publishing company that worked alongside an author throughout the publishing journey. Unfortunately, even if a book is outstanding, there is a good chance it will go unnoticed without people working hard to promote it and get it out to the masses. Obviously, no one is going to care more about the book’s success than the author, so it only makes sense for the publisher and author to work together as a team to ensure that their book is given an even better chance at reaching its greatest potential. While we are a full-service publisher, we ask for our authors’ creative input and participation in every aspect of the publishing process. What was your path to becoming Acquisitions Manager? My background is in the field of editing. That, together with my love of reading, brought me into the role of Acquisitions Manager when we began Sapphire Star. However, Amy also has her hands in the submissions process. We work together in all aspects of the business, and we’ve been very fortunate to contract with some exceptional editors that help make up our team. What is the significance behind the company name? The sapphire in our name comes from Amy’s late grandmother. Her favourite gem was a sapphire. Having that connection with her grandma just adds something special to our name for us. Without a doubt that would be sending out rejections. Obviously, we can’t take everything that is submitted, but we’re very mindful of the privilege we have to review any submission from any author. We understand that often times, years of work went into a manuscript. We don’t take that lightly. Could you tell us what are the three key elements you look for in a manuscript? First and foremost, the idea of story has to captivate us through the query letter and the first three chapters. If we request a full manuscript, we look for what any reader would look for—a great story, pure and simple. Of course, any great story includes strong plot and character development. Sure, this sounds very elementary, but we’ve come across many, many manuscripts that have an outstanding premise, but they unfortunately lack these basic story elements. And dare we ask what are your pet hates in a manuscript? I’d have to say large amounts of grammatical errors. We fully expect some errors—I’m referring to consistent errors throughout the manuscript. Grammar is not everyone’s strong suit, but we would encourage an edit before submitting. This doesn’t have to be a costly, professional edit—instead enlist the help of a friend that is good with grammar or find a critique partner. If a story is strong enough, we’ll see past the errors, but it’s always nice to read a polished manuscript. 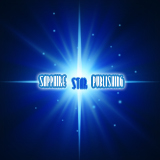 Do you have any advice or tips for anyone submitting to Sapphire Star Publishing? Besides having your manuscript edited as I mentioned above, take the time to work with a couple of critique partners before submitting to any publisher. Many of our authors at Sapphire Star have found a critique partner to be an invaluable tool. Fifty Shades of Grey has been really successful in both the UK and the US – why do you think this is? First, I think this series had quite a head start due to the author’s amazing number of supporters from the story’s early days as a fan fiction. Second, I think the author has opened up a subject that a lot of women considered taboo. Fifty Shades has probably contributed to bringing back the spark to many a bedroom, no matter what continent you live on! What do you read in your spare time? Do you have a favourite author? I love all sorts of fiction—women’s fiction, chick-lit, thrillers, and of course all kinds of romance. As much as I love holding a good book in my hand (or my Kindle for that matter), I listen to audiobooks because there just doesn’t seem to be much spare time for reading these days. I listen while I’m driving or lying in bed at night. I find myself taking the long way home some days if I’m at an intense part of a story. I don’t have a favourite author—just too many amazing writers out there! I just finished Gone Girl: A Novel by Gillian Flynn and A Grown-Up Kind of Pretty by Joshilyn Jackson. Loved them both. I’m in the mood for some romance next! Honestly, I don’t feel like anything could top what I’m doing now. I have the pleasure of working with some of the most interesting and creative people that I’ve ever met. I hope to keep doing this for years to come, but I do look forward to the day when I have more time to spend with family and friends. Thanks for being here Katie, it’s been great getting to find out more about yourself and Sapphire Star Publishing. From reading Nicky Well’ blog I’ve only seen positive mentions of your publishers. How do you work with your writers were print is concerned? Can you offer worldwide distribution? Do you also create audio books of novels? Whooot! What a delightful start to the day, finding Katie over on this side of the Atlantic, and with the fabulous Romaniacs as well. This is like going to your best friend’s house only to find that she’s hosting a rock star party: wow! So: lovely feature, thank you both. Rock on! Hi Yasmin and Nicky! Thank you both for your kind words. And huge thanks to the Romaniacs for having me over! Nicky, you are just the sweetest! Thanks so much for your support. We’ve so enjoyed working with you on Sophie’s Turn and are excited to dive back into Sophie’s Run very soon. Very proud to have you in the author family!